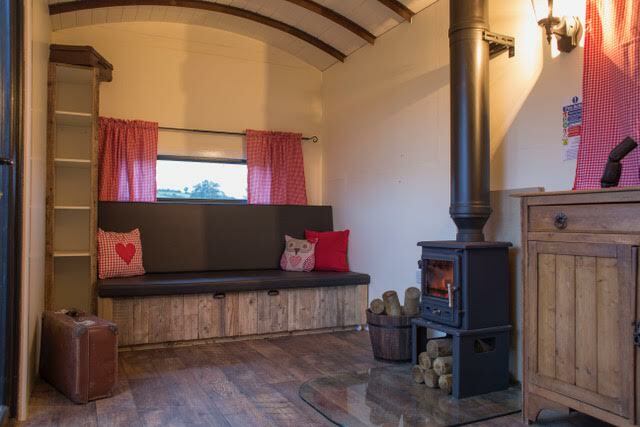 Set in a secluded rural setting bordered by a row of 100 year old Scots pine trees in Leitrim, Co Down, Pine Tree Hollow Glamping encompasses all that is important to owner Bridie Smyth. 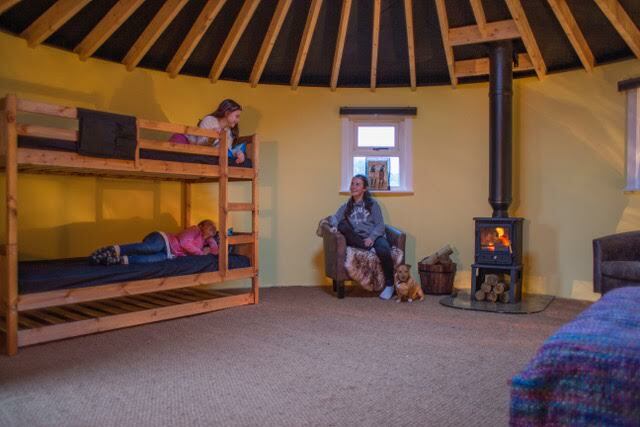 Providing nature, heritage, wildlife, excellent local tourist facilities and the opportunity to spend quality time with family and friends while staying somewhere a little bit different, Pine Tree Hollow Glamping is a perfect base for exploring the stunning Mourne/Slieve Croob area and livelier towns of Newcastle and Castlewellan. 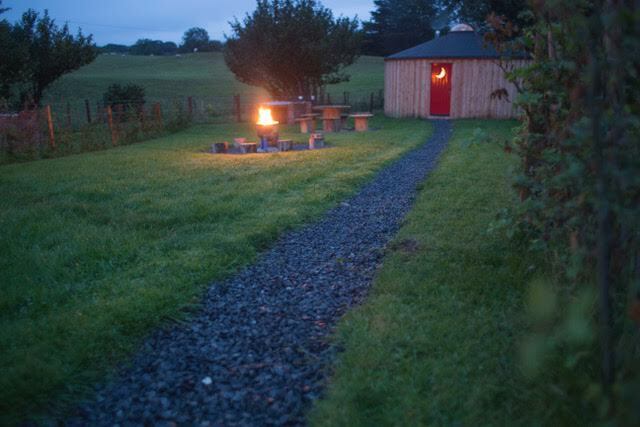 We are a small site with only 3 cabins, all with differing but unique styles, inside and out, giving our guests their own spacious outdoor area which includes their own outdoor kitchen, fire pit and picnic area. 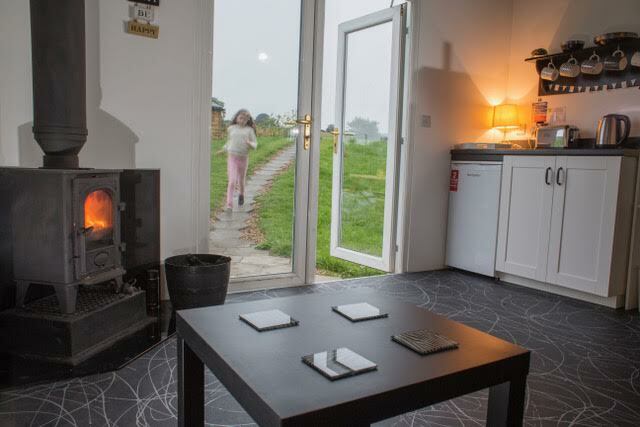 Communal areas (toilets/showers/tourist information/ outdoor games) overlook our paddocks which house our rare breed and traditional farm animals. When you book, you will receive an immediate acknowledgement of your payment through Paypal. You will then receive a further email confirming your booking details within 48 hours. All you need to bring is your sleeping bag, pillows (if required), toiletries, tea towel/dish cloths and a torch. Beds have decorative cushions and throws only. 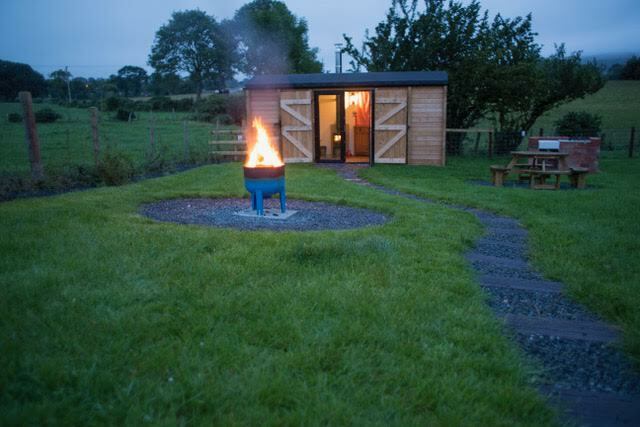 One tub of logs per stay is provided and one kindling bag per night is also provided on arrival. 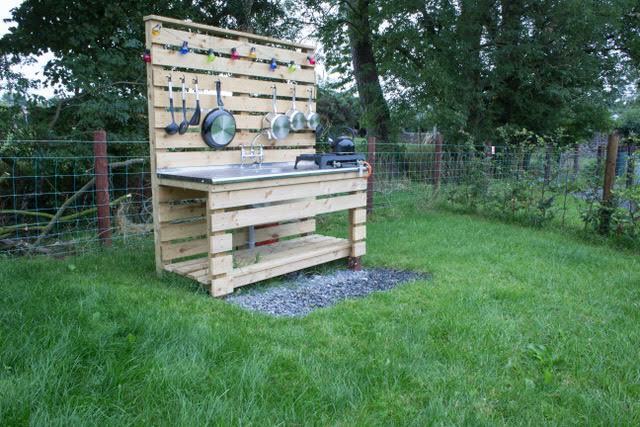 Further blocks /kindling can be purchased on site if required. Yes, well behaved dogs are welcome but need to be kept on leads at all times due to the close proximity of our animals and other guests. 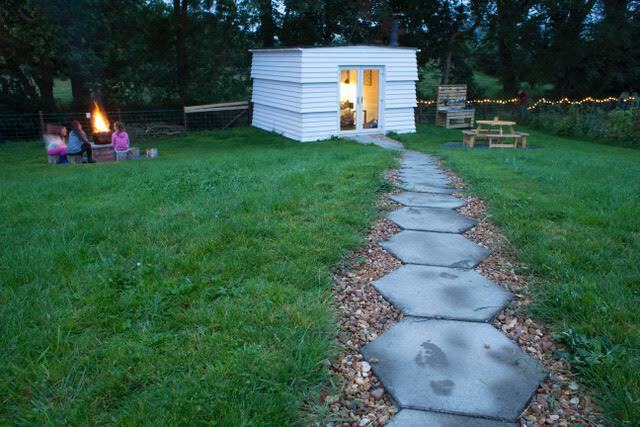 There is a £5 per night charge for up to 2 dogs. Please bring your dog’s bed with you! No, our units do not have microwaves. Electric kettles, toasters and a fridge are provided in the units. No, we made a conscious decision not to provide wifi due to the aims and ethos of our site. 3G and most mobile networks have good coverage. Can I park beside my unit? No, our car park is around a 50m walk along a relatively flat stone path. Yes, the local village shop is a 2 minute walk away from our gates. The shop is open 7 days a week. Local towns of Castlewellan (5 mins) and Newcastle (10mins) are within driving distance. Do the units have toilets/showers? 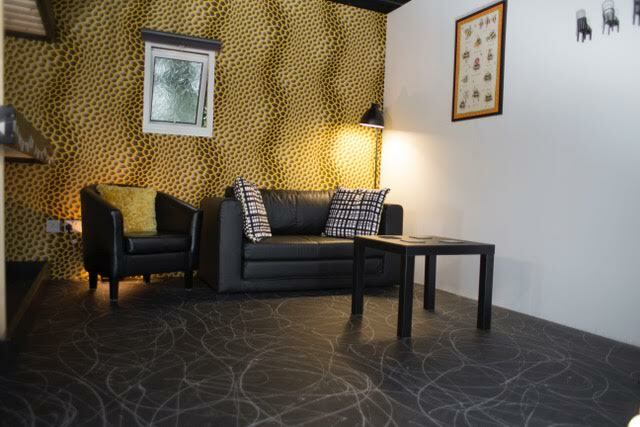 All of our cabins share communal toilets/showers which are located beside the units. There is a limited bus service via Leitrim village from Newcastle to Banbridge. Access to your own transport is advisable to explore the area further. Local taxi services are available in Castlewellan.